Quinoa Saponins (Chenopodium Quinoa Willd). “Quinoa” is a Bolivian Cereal and the Saponins is a natural protector of the grain. Saponins are glycosides with a distinctive foaming characteristic. They are found in many plants, but get their name from the soapwort plant (Saponaria), the root of which was used historically as a soap (Latin sapo ---> soap). They consist of a polycyclic aglycone that is either a choline steroid or triterpenoid attached via C3 and an ether bond to a sugar side chain. The aglycone is referred to as the sapogenin and steroid saponins are called saponins. The ability of a saponin to foam is caused by the combination of the nonpolar sapogenin and the water soluble side chain. Saponins extracts have a wide range of uses, mainly due to their capacity to adapt to different conditions and processes. Mining (tensoactive in acid solutions to reduce acid mist emissions in copper and zinc electrowinning). Agriculture (natural nematicide, wetting agent, root growth promoter). Animal feed (ammonia controller, growth promoter, immunoestimulant). Waste treatment (increase microbial growth, improvement in oil and fat biodegradation, increase of oxygen transference). Marks: Packages to be marked in English with exact description of contents, net weights, country of origin, full name and address of seller. Indorsement Document: Letter of credit or to state Bank Consignee (for C.A.D). Advise information about your consignee bank (name, address, fax, telephone number, etc.). 1. Bags double polyethilene, paper bags (25 Kg. each). WORKING CONDITIONS: FOB/Bolivia - CIF Arica - Chile. 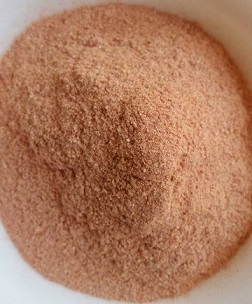 - Natural Saponins Powder (Samples) 1/10 Kg. Airfreight/Courier. 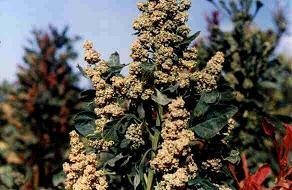 - Product Powder Saponins Quinoa: 5/20 T/M Port Arica-Chile. Time of delivery : 15 to 30 days after the standing order reception. 1.- Confirmed, irrevocable at sight L/C. 2.- Direct bank transfer, with the standing order. 3.- With de Order 50%, Balance 50% with the copy of B/L. 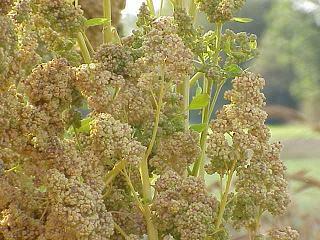 In its natural state quinoa has a coating of bitter-tasting saponins, making it essentially unpalatable. Most quinoa sold commercially in North America has been processed to remove this coating. Some have speculated that this bitter coating may have caused the Europeans who first encountered quinoa to reject it as a food source, even as they adopted other indigenous products of the Americas like maize and potatoes. However, this bitterness has beneficial effects in terms of cultivation, as it is a crop that is relatively untouched by birds and thus requires minimal protection. 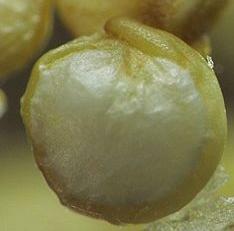 There have been attempts made to lower the saponin content of quinoa through selective breeding in order to produce sweeter and more palatable varieties of the crop. However when these varieties were introduced by agronomists to native growers in the high plateau, they were rejected after just one season. The growers returned to their traditional high saponin varieties, the reason being that despite the newer varieties giving 'magnificent' yields, birds had consumed the entire crop. The saponin content in quinoa can be mildly toxic, as can be the oxalic acid content found in the leaves of all of the chenopodium family. However, the risks associated with quinoa are minimal provided that it is properly prepared and leaves are not eaten to excess. Quinoa is currently being studied by a number of researchers at various universities, notably a team led by Daniel Fairbanks at Brigham Young University's Department of Biology and Agriculture. Research is being done to increase the yields and palatability of quinoa without sacrificing its beneficial properties.